Corn Dog or Dagwood Dog: What do you call this deep fried carnival food? "I accidentally started an office wide debate over what this deep fried stick is called." This week, I unknowingly started a fierce debate over a fried food item. I was at work, writing a story about goat feet shoes, of all things, when a colleague messaged me to let me know about an error in my post. The message included screenshots, which made me think I had made a pretty big mistake in my reporting of goat shoes. Alas, it was not the goat shoes she was worried about. It was the use of the word Dagwood Dog in my opening sentence. Yeah. 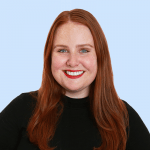 “What in the eff is a dagwood dog mate,” my colleague asked me in a group chat that quickly painted me as the weirdo. 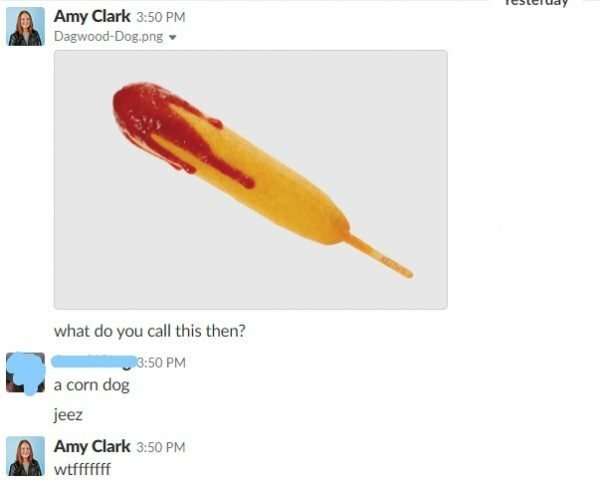 When I showed said colleagues a picture of a Dagwood Dog, they said the correct name for the fast food item is a Corn Dog. Side note – I’ve concealed their identities to save them the embarrassment. 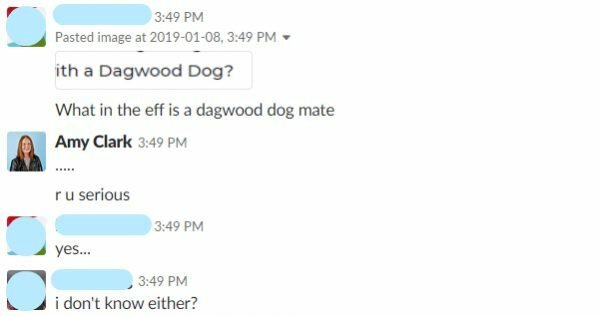 The initial confrontation that started the Dagwood Dog debate of 2019. Images: Supplied. From there, confusion ensued. The debate grew from two people arguing over a fried stick of sausage meat to an office-wide debate. Some thought this might be an examples of how people from different states have special names for things a la swimmers vs. togs vs. bathers, or fritz vs. devon. It&apos;s obviously fritz, but moving on. Needing an definitive answer, we even took the question to the people of Facebook. 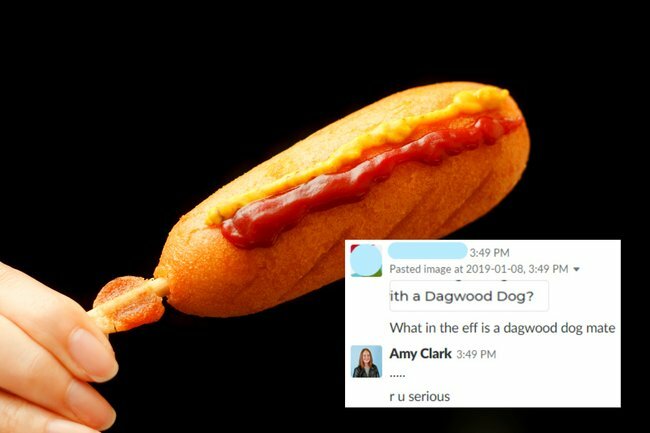 In a Facebook poll of almost 5,000 people, 85 per cent of people look at the image of a greasy, battered stick thing covered in sauce and called it a Dagwood Dog. In a surprising turn of events, many threw a third option into the mix - a Pluto Pup... whatever the heck that is. The general consensus is: in Australia, it&apos;s a Dagwood Dog or a Pluto Pup, and a Corn Dog in America. And just like that, another of life&apos;s menial conundrums is solved. What do you call this? A Dagwood Dog, Corn Dog or Pluto Pup?